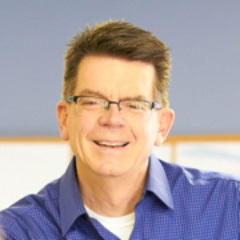 Chuck Thomas is a recognized leader, speaker and author in strategic business marketing and communications. He is an innovative thinker, team motivator and hands-on creative. Through advertising, public relations, licensed properties, direct mail, online technology, music and film, Mr. Thomas has generated more than 32 billion audience impressions, helping create hundreds of millions of dollars in sales, funding and contributions, and has driven millions of people to client websites around the world. During his jazz composition studies at Eastman School of Music, Chuck Thomas learned to harness diversity and complexity to create an emotional, moving experience. With that understanding, Mr. Thomas applied his knowledge to help companies powerfully connect their unique vision with their market, resulting in imaginative and compelling new growth for some of the nation’s fastest growing companies. Mr. Thomas is a noted thought leader and speaker in the field of business growth. He has consulted with CEOs and marketing professionals around the world from the healthcare, financial services, technology, communications and manufacturing industries to create new growth strategies and award-winning, innovative executions. Mr. Thomas published a ground breaking white paper in 1999 promoting his thesis that values, held in common by both company and customer, are bedrock drivers for purchase and loyalty. Emotions that prompt change are a result of these values realized or frustrated. Companies that understand these drivers can increase market share, profits, ROI, and retention. He successfully developed and trademarked The VALCORT® Process, seven integrated disciplines that create loyal customers and increase profitability. Mr. Thomas is the founder and president of The Valcort Group, a cadre of globally recognized, experienced and successful market leaders focused on building new and loyal customers for its clients. Valcort provides consulting, execution and research services to help clients grow consistently and efficiently. Valcort serves a diverse group of B2B and B2C companies ranging in size from start-ups to 15 billion in revenue. Mr. Thomas learned his craft as an independent creative and brand strategist for the Chicago advertising community, working with top agency clients including McDonalds, United Air Lines, State Farm, Frito-Lay, Toyota, 7-Up, AT&T, Kraft, Anheuser-Busch, Hasbro, General Mills, among others. His work for nonprofits is internationally recognized, including work for KidsPeace: the National Center for Kids in Crisis. He has also received three Telly Awards, three Houston International Film Festival Silver Stars, The WebAward, and New York Festivals Awards. He also received a Chicago Advertising Association Addy, a Golden Trumpet from the Publicity Club of Chicago, multiple Gold awards from The Houston Film Festival, a RIAA Certified Gold Record, plus awards from The Globals, The U.S. International Film and Video Festival, The Mercury Awards and The HMR Awards. From his work with KidsPeace, Mr. Thomas received the national “KidsVoice Award” for his extensive public work giving voice to America’s children.